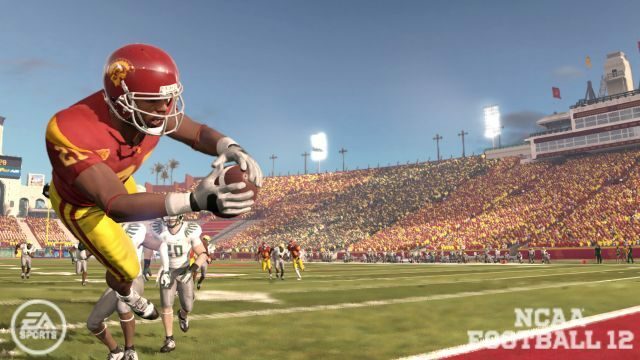 Electronic Arts announced today that a playable demo of NCAA Basketball 10 is now available for download on Xbox LIVE Marketplace for all Xbox LIVE Gold Subscribers. Gamers can play out the LEGENDARY (… maybe an exaggeration?) rivalry between Duke and 2009 National Champion, University of North Carolina, presented with full CBS broadcast integration. The demo will be available to Xbox LIVE Silver members on November 12th, 2009 and on the PlayStation® Network on November 19th, 2009. Still, Gold live-r’s come first! Lucky bunch! For those of you who don’t know, NCAA Basketball 10 is said to capture all the energy and excitement that is unique to college basketball. This latest edition has experienced a renewed focus on gameplay improvement, and features a deeper concentration on team styles of play. NCAA Basketball 10 has also revolutionized the presentation of sports video games by fully integrating CBS and ESPN broadcast features. Sounds pretty cool, but so more of an American hype than a British one. Shame!